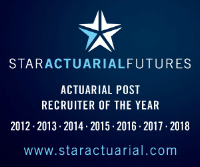 Our client is seeking a part-qualified or qualified GI actuary to take the lead on innovative pricing, developing and contributing towards a pricing sophistication roadmap to enable market leading portfolio management. In this key role, you will work with account underwriters to update and devise new rating algorithms. In addition, you will coordinate and implement accurate analysis, rate reviews and oversight of test procedures and results. Experience of utilising pricing analytical techniques e.g. GLMs in the setting of pricing tariffs and portfolio steering is essential, as is expert knowledge of analytics tools including Radar, MS Excel, VBA and SAS. Knowledge of Emblem would be an advantage.